Lab experiments with European perch larvae showed exposure to microplastic particles at levels present in seas inhibited hatching of fertilized eggs, stunted larval growth, reduced activity levels, and made them more susceptible to predators, increasing mortality rates, researchers said on Thursday. "For me, the key finding and biggest surprise in this study was the fact that larvae preferentially ate microplastic particles and literally stuffed themselves with the microbeads," ignoring their natural food source of zooplankton, said marine biologist Oona Lönnstedt of Uppsala University in Sweden. There is increasing concern among scientists about the effect of pervasive plastic pollution on marine ecosystems. This study was the first to look at direct effects of microplastic particles on fish development, Lönnstedt said. Microplastic particles, bits of plastic measuring no more than two-tenths of an inch (5 milimeters), come from large plastic trash that has fragmented into smaller pieces or from manufactured plastics of microscopic size such as microbeads in products like facial soap, body wash and toothpaste. 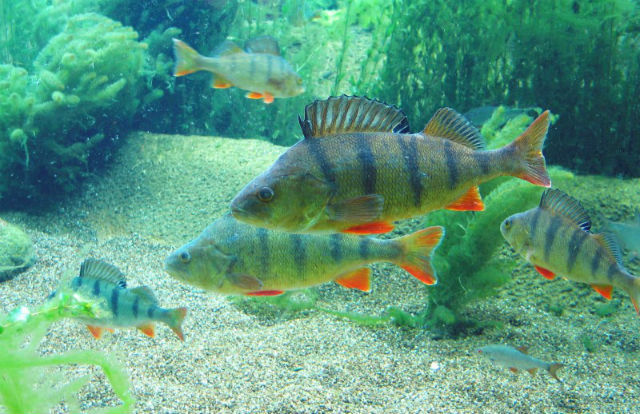 The European perch, known for its greenish color with black stripes and orange-to-red fins, is an important commercial fish species for coastal and lake fisheries and is also popular for recreational fishing, said Peter Eklöv, an Uppsala professor of limnology, the study of inland waters. 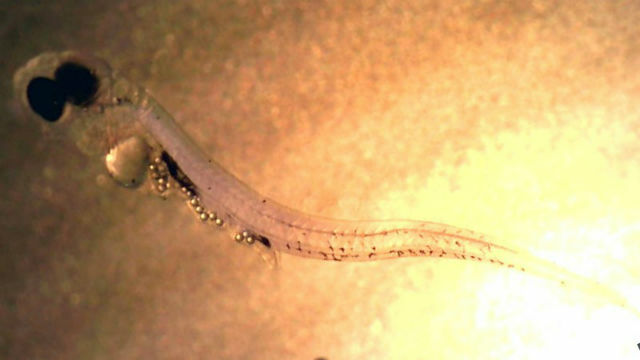 Perch larvae exposed to microplastic particles lost their ability to use typical perch anti-predator behavior such as freezing in place, Eklöv said. "Microplastics actually seem to interfere with an animal's natural behaviors, such as feeding choices, activity rates and predator-avoidance strategies," Lönnstedt said. "This is a serious cause for concern, in particular since microplastic particles often accumulate in shallow coastal areas where many developmental stages of aquatic organisms, not just fish, can be found." While this study involved perch, such plastic pollution is likely harmful to many fish species. The researchers said since this study, they have conducted similar experiments with other fish, both tropical (coral reef damselfish) and temperate (pike and flounder), and all showed responses to microplastic particles very similar to the perch. "If microplastics are indeed affecting organisms both chemically and physically, then this really calls for a ban on microplastic beads in body-care products and cosmetics around the world," Lönnstedt said.